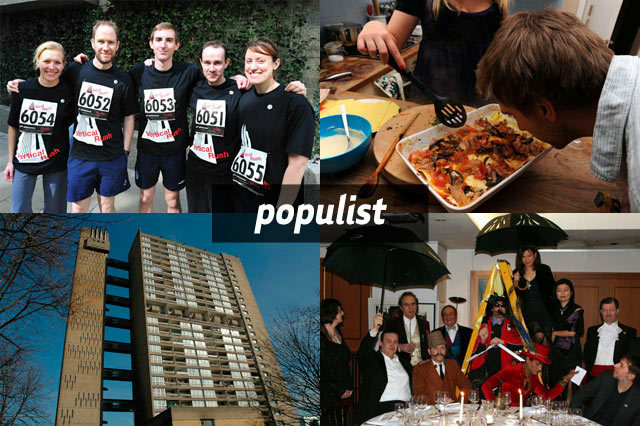 Clockwise from top left: All conquering Team Londonist, rabbit lasagne, home to artists Balfron Tower and the Eccentrics have dinner. Slow Exposure final chance to enter - submit your photos before midnight Sunday and RSVP for the exhibition private view & party now! Spread the word.